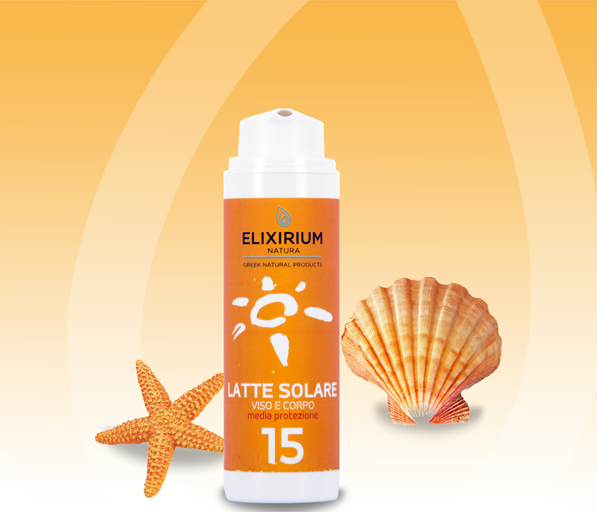 Elixirium Natura :: ELIXIRIUM NATURA - SUN PROTECTION FACE AND BODY MILK SPF 15. HomeElixirium NaturaELIXIRIUM NATURA - SUN PROTECTION FACE AND BODY MILK SPF 15. 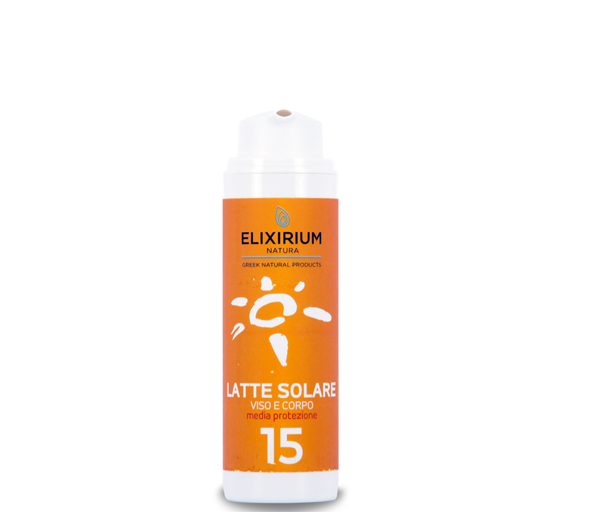 ELIXIRIUM NATURA - SUN PROTECTION FACE AND BODY MILK SPF 15. Fluid emulsion characterized by combination of sunscreens and Tyrosine, designed to guarantee a tan safe, intense and lasting. The moisturizing action and emollient of active ingredients like Aloe Vera, Oil of Jojoba, Collagene and Monoi de Tahiti is enhanced by anti-reddening properties e soothing the Ratania extract. Indicated for the cosmetic treatment of all skin types.